Editor's Note: This is the second of a trilogy on Irish women activists. Find the first article on Mary Harris "Mother" Jones here. 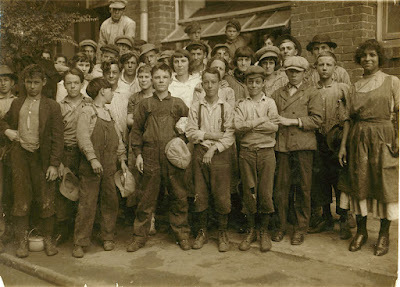 An example of child labor in 1914 in North Carolina. 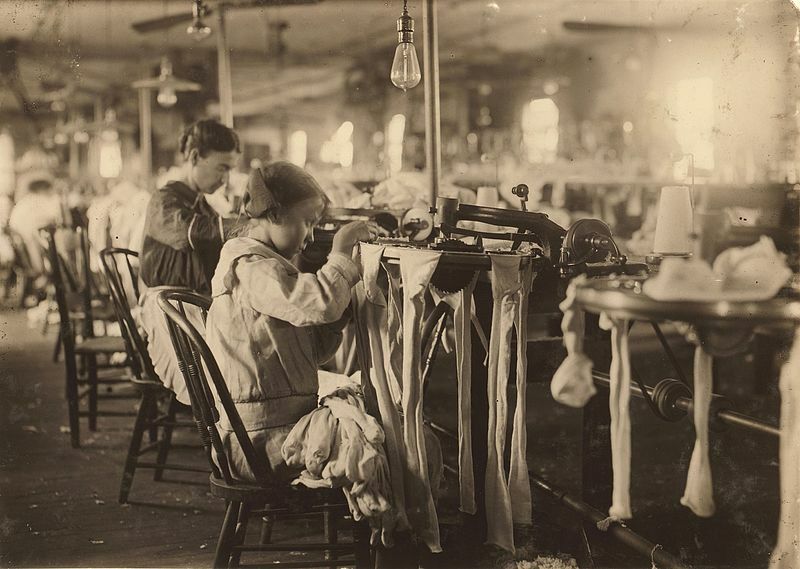 In the late 1800s and early 1900s, working conditions in industrialized Europe and America were often brutal and dangerous. The laws offered little protections for workers then; and capitalism -- although successful in many ways -- was typically unbridled, exploitative, and hostile towards workers. 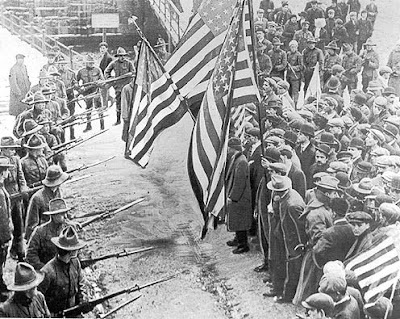 It was a difficult time for the working man, and women and children had few rights and protections. When economic times got rough, workers became desperate. Because of these dreadful conditions, some political activists became more extreme, seeking solutions out of the mainstream. Some became socialists or anarchists. Others followed the new philosophy of the day proposed by Karl Marx -- Communism. Today we know Communism is a totally failed system. It made lofty promises such as the ability to create "a workers' paradise." It had idealistic slogans like, "From each according to his ability, to each according to his needs." It asked the workers of the world to unite for they had nothing to lose but their chains. In reality Communism, where ever it appeared resulted in oppression by a new ruling class -- the Communist Party elites -- who simply replaced the old ruling class of Capitalist elites. Communism where ever it appeared -- in Russia, China, and elsewhere -- resulted in tyranny and a loss of civil liberties, including a loss of fundamental freedoms such as freedom of speech, the press, and of religion. Furthermore, it failed to accomplish its main objective -- economic justice for workers. 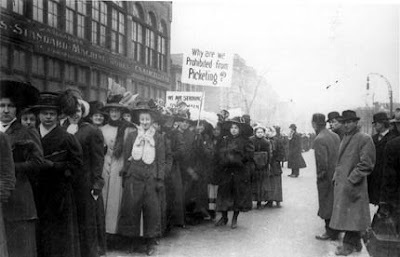 Nevertheless, considering the terrible oppression workers lived under in the early 20th century, some economic and political activists tried socialism and communism as a solution to their problems. 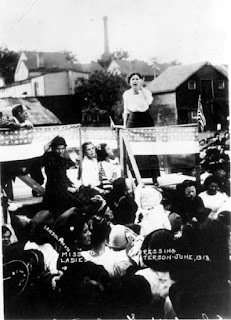 One such activist was Elizabeth Gurley Flynn. Her heart was in the right place; but her solution was wrong. Eventually nicknamed "The Rebel Girl" because of her revolutionary ideas, fiery speeches, and political activism, Elizabeth Gurley Flynn was born in New Hampshire to Irish immigrants. Her mother was Annie Gurley from Galway, Ireland; her father was Thomas Flynn from County Mayo, Ireland. In typical Irish fashion, she was a rebel. There was even a song about her called "The Rebel Girl; and this was the name of her autobiography too. Her Irish father instilled upon Elizabeth the importance of rebelling against tyranny by teaching her Irish history. Elizabeth once wrote that "when one understood British imperialism, it was an open window to all imperialism." Elizabeth thus developed a hatred of oppression in general, in a sense, comparing any oppression, political or economic, to the oppression Britain forced upon Ireland for centuries. She became knowledgeable of Irish history, and came to believe that each generation of her ancestors had played a role in a rebellion against British tyranny in Ireland. She saw herself as a continuation of Irish rebellion against oppression, anywhere and everywhere. 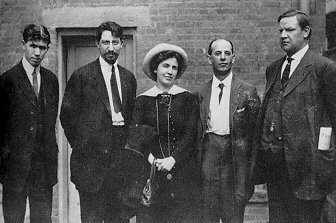 When the family moved to the Bronx in New York, her father, Thomas Flynn, became active in socialism and politics. He, along with Elizabeth's mother, taught their daughter about these topics. Because of the family's poverty and the awful conditions workers lived under then, socialism was seen as the best solution to the problem. Instead of having the means of production owned by a few big shot capitalists, the means of production should be controlled by the people, or the state which in theory represented the people. Elizabeth came to believe, as she later stated, that "scientific socialism made it clear that it was not a poor man's fault if he was out of work." She felt people could be poor because they simply did not want to exploit their fellow man or woman, the way capitalists did. from the Library of Congress and Wikimedia Commons. Note how young some of the workers look. 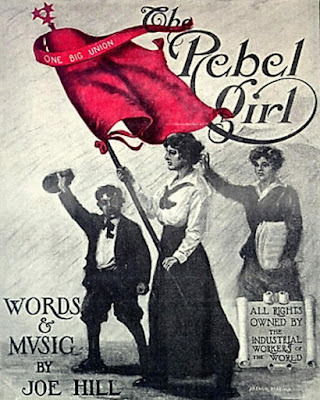 Elizabeth began to educate herself on politics by reading on the subject including the works of Peter Kropotkin, a Russia political activist who believed in anarcho-communism; and she extended her education to feminist politics. She developed impressive public speaking abilities, and in fact made her first public speech at the Harlem Socialist Club at only 15 years of age. Her topic was "What Socialism will do for women." An interesting anecdote about Elizabeth states that a Broadway producer once proposed to make her an actress. She had such a tremendous public speaking ability and commanding stage presence, he figured crowds would love it. But Elizabeth refused saying she did not want to act; she wanted to speak ... her own words. She was electrifying as an extemporaneous speaker and motivator; some people compared her to Saint Joan of Arc. She was clearly very intelligent and became a first class orator. She did not, however, graduate from high school, leaving Morris High School in the Bronx. She regretted this move later but nevertheless continued to educate herself. Elizabeth married J.A. 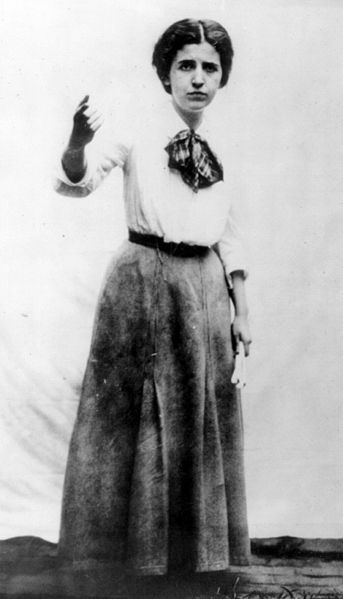 Jones in 1907, an activist with an economic political organization called the Industrial Workers of the World (IWW). She and her husband had two sons, one of whom died shortly after birth; and the other son only lived to be 30. Despite being in love, her marriage also did not last. We must wonder to what extent these tragedies affected her later behavior. Amazingly, in 1920 she played a key role in creating a new political and legal organization -- the American Civil Liberties Union (ACLU). She is recorded as being one of its founders. 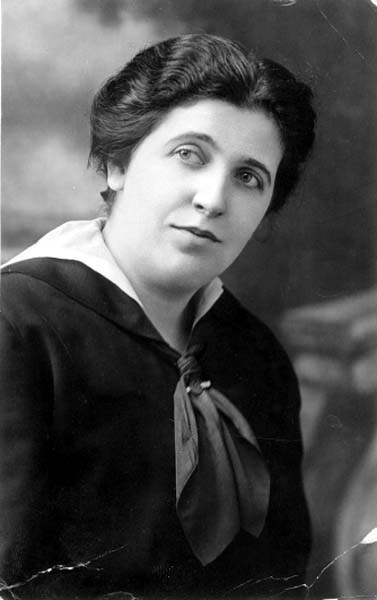 She was a strong advocate for the women's right to vote (which became American law with the 19th Amendment to the US Constitution in 1920) and was an advocate for the legalization of birth control (which was not legalized even for married couples in the USA until the US Supreme Court decision of Griswald v Connecticut.) In this way Elizabeth showed that she was way ahead of her time, anticipating fundamental societal, political, and legal changes in America. Flynn was involved in many workers' strikes and was arrested several times for various reasons relating to her activism, which were always non-violent, though very vocal. In 1936, however, Elizabeth made a critical move in her life; she joined the Communist Party of the USA. This radical move resulted in her expulsion from the leadership of the ACLU. In 1940 she was removed from the governing board. Elizabeth became a journalist for the newspaper of the Communist Party USA called the Daily Worker. In 1942 she even ran in an election for Congress, but she lost. She did, however, get almost 50,000 votes. Elizabeth was arrested in 1951 under the Smith Act, for advocating the violent over throw of the US government, largely because of her membership in the Communist Party. She was not involved in any violence, just accused of "advocating" a violent overthrow. Despite the argument that she was exercising her right of free speech, protected under the US Constitution's First Amendment, she was found guilty and sent to jail. Elizabeth served two years at a federal prison at Alderson, West Virginia. She considered herself to be a political prisoner and wrote an account of her experience called The Alderson Story: My Life as a Political Prisoner. When she got out of jail, she simply picked up where she left off. Elizabeth made speeches and advocated Communism. She ran for public office, for New York City Council, and lost. Flynn became the chairwoman the Communist Party USA in 1961 and traveled to the Soviet Union. In 1964, however, at age 74, she died while visiting the Union of Soviet Socialist Republics. 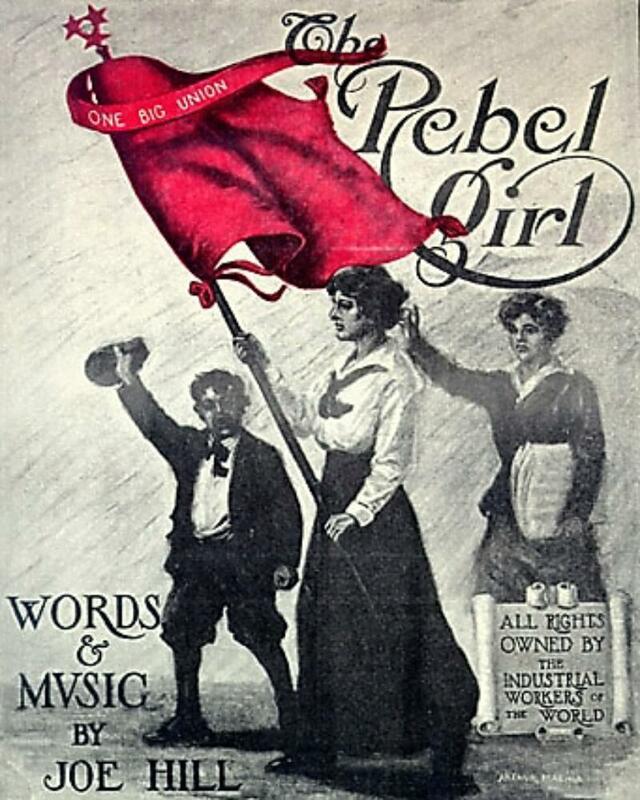 for a song called "Rebel Girl"
It is interesting to note that Elizabeth donated her belongings (consisting mainly of personal items like books, clothes, and some furniture) to another Irish American woman activist (the third subject of our trilogy) named Dorothy Day, the founder of the newspaper Catholic Worker. Dorothy and Elizabeth became friends in New York around 1910, and both shared an interest in helping the poor and the working class. Elizabeth would send needed supplies sometimes to help Dorothy at the Catholic Worker House, a social services center Dorothy operated in New York. 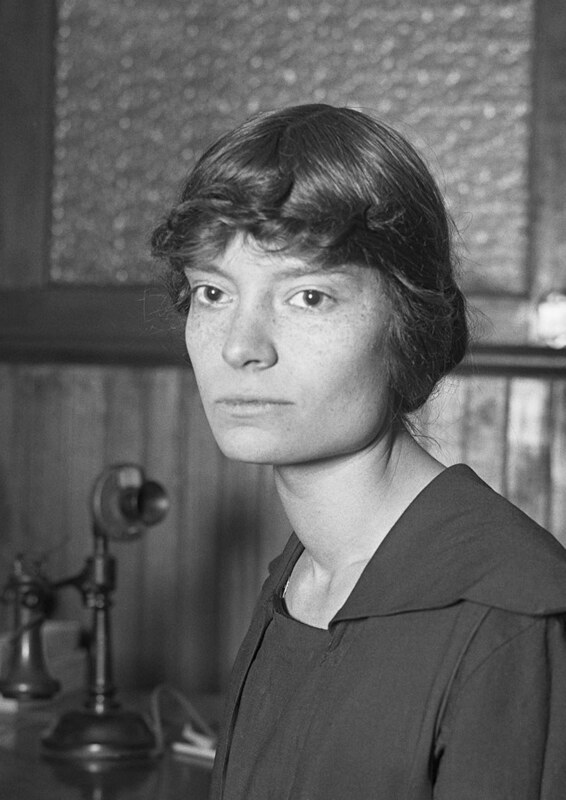 Dorothy Day, though a socialist, found salvation for the poor through Catholicism, charity, and spiritual aid, while Elizabeth advocated Communism. How can we asses the life of Elizabeth Gurley Flynn? Different people will see her in different ways, of course. As for me, she was clearly an intelligent and talented person who initially and generally advocated for good causes -- workers' rights, equal rights, women's rights, and social justice. She was right in that social and economic reforms were definitely needed at that time. She was misguided, however, to think socialism would solve the economic problems of the poor. And she was tragically mistaken to join the Communist Party and be fooled into believing that Marxism, Leninism, Stalinism, or any ism that sprang from the communist philosophy could do anything but result in more tyranny and more oppression. We need only look to the many millions of innocent people who died under Communist regimes to see the tragic error Elisabeth made. Some historians believe the number of people who were killed under communism to be around 100 million. Despite the mistakes Elizabeth made in her life, she was a remarkable woman; and a study of her life (with both the good and bad things she did) is worthwhile.